Green coffee or green coffee beans simply refer to coffee beans that have not been roasted. Coffee is usually roasted to produce the distinct aroma that so many people know and love. 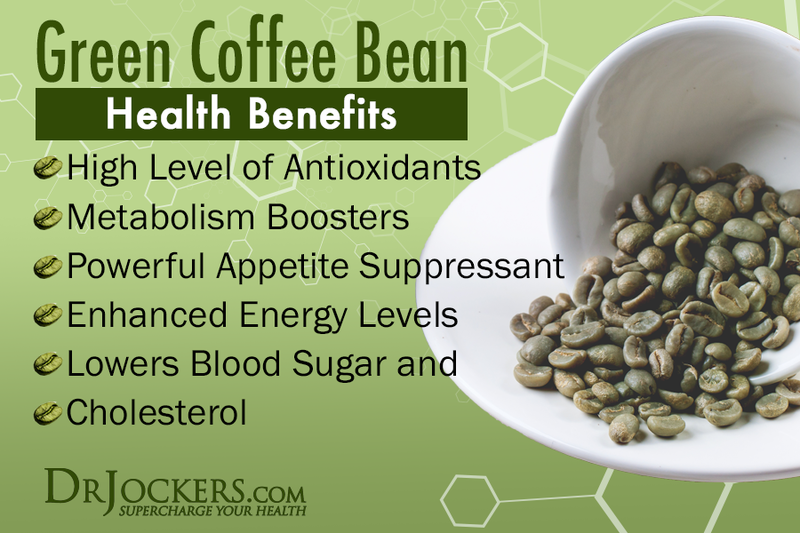 However, there has been a lot of interest in the health benefits of green coffee. This is one of the best sources of chlorogenic acid, which has been found to facilitate speedy weight loss in the human body. Although the roasting process removes the natural bitter taste of green coffee, it also eliminates a significant portion of chlorogenic acid. Read this>>> What is the benefit of drinking coffee? It is also worth noting that coffee is one of the plants that undergo a lot of pesticide and herbicide treatment, with more than 1000 toxic chemicals present in roasted coffee. Organic coffee does not contain these toxins which are responsible for various side effects including liver, bowel and kidney congestion, mimicking hormones and encouraging cancer cell growth. Excess sugar in the diet turns to body fat that ultimately becomes toxic. As a result, insulin (the body’s fat and carbohydrate metabolism hormone) becomes overworked, which triggers fat production to safely engulf the toxins and protect the body against them. Chlorogenic acid is believed to promote weight loss by reducing fat and glucose absorption in the gut. For instance, it prevents an enzyme known as glucose-6-phosphate from releasing glucose from the liver, which slows down the amount of glucose entering the bloodstream. This leads to lower insulin levels and improves metabolic function. In fact, it is believed that green coffee extract can help diabetics maintain healthy blood glucose levels. There are two main types of coffee: Robusta and Arabica. Arabica provides the highest quality of coffee bean extract since it contains more chlorogenic and caffeic acids – these are polyphenol anti-oxidants present in green coffee. These anti-oxidants help the body fight the free radicals that damage cells and increase the risk of health problems such as cardiovascular disease. In fact, science points to free radicals as one of the main causes of poor health today. Most people can experience a weight loss from 5-15 pounds when using green coffee bean extract supplements. As such, they are highly recommended for those beginning their weight loss journey as well as those who only want to lose a few pounds. The extract has also been found to be beneficial for those at a plateau in their diet. Another advantage of using this type of supplement for weight loss is that you do not have to follow a strict diet or take up rigorous physical exercises. However, a combination of the supplements with exercise and a healthy diet will increase the rate of weight loss. Green coffee extract does not contain a lot of caffeine, so the side effects related to caffeine consumption are significantly lowered. However, it is important to take caution when using green coffee extract supplements if you are pregnant or breastfeeding. In addition, it is important to consult your doctor before using the supplement if you suffer from certain conditions including HIV, cancer and hepatitis C. The supplements are available in pill form and doctors recommend a dosage of 400 mg per day. In addition, it is important to check the ingredients included and avoid supplements with a lot of filler ingredients. Evolution Slimming Svetol® Green Coffee Bean Extract contains the recommended 50% CGA (chlorogenic acid) which can aid fat burning & weight loss. It’s our most powerful green coffee bean supplement and is clinically proven to help burn fat and reduce weight and is simply unmatched in terms of quality and effectiveness. It is known to boost metabolism but will not cause jittery feelings associated with caffeine. Green Coffee is a potent, natural antioxidant that may help protect the body from free-radical stress and damage. Our green coffee contains less than 2% caffeine per capsule so it won’t cause the jitters or light headedness.